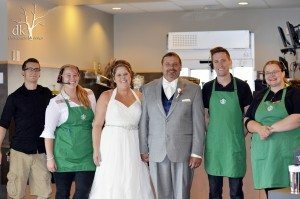 On August 22, 2015, Diana and Tony were married inside a Starbucks in North Dakota. It was exactly two years and two months after their first date, at that Starbucks where they sat talking for hours. All the right chemistry and a little caffeine added up to a perfect match. 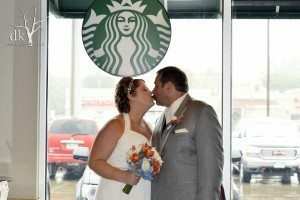 The didn’t realize that two years would fly by and that they’d be saying “I do” inside their favorite coffeehouse. They had their first kiss in that very parking lot as well. That first date was three and half hours at Starbucks and a little kiss goodbye in the parking lot. Fast forward to the big day. Wedding bells. 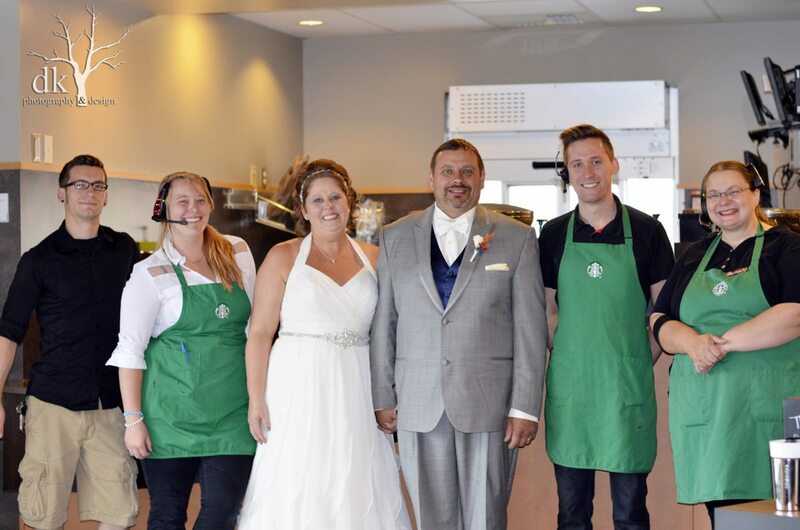 The happy couple had planned an outdoor wedding at a local park followed by a ‘reception’ at the Starbucks afterwards. Diana and Tony arrived at the park a little early, and a round of picture taking started. And then drizzle started, followed by rain. They knew they had to come up with a plan B fast! They called the Grand Forks Starbucks and asked if they could move the ceremony to inside their store. The original plan had been a ‘cake pop reception’ with Diana and Tony and about a dozen close friends. Cathy, the assistant store manager, had reserved the store’s community table for them and set up the cake pops. 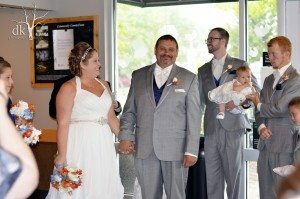 When they got rained out, it turned into the wedding and cake pop reception inside the store! Thank you Grand Forks Starbucks for truly inspiring and nurturing the human spirit! Congratulations Diana and Tony Kuznia, married August 22, 2015! Top 3 Problem Policies at Starbucks. 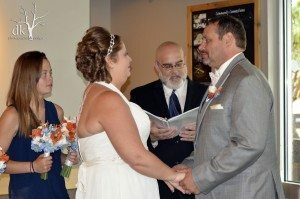 May they have many years of wedded bliss and great coffee!! Nice story. If I remember, wasn’t there another wedding at a SB that you featured? A bit ago. Glad the community came together. She’s wearing a beautiful dress. It’s the same dress I picked out for my wedding in November. This is a neat story. Congratulations to the happy couple! Glad that store was able to help them out on their special day.